This is a very special interview where I have the honor to interview Jeff Furman PMP who has a dual background as an IT Project Manager and Corporate Trainer, and is the author of “The Project Management Answer Book” (©2011, Management Concepts). As a PM he has led many successful IT projects for Fortune 500 companies in the NYC area, specializing in: new product evaluation and implementation, development tool support, and managing a mission-critical IT change management system used by more than 1,000 application developers 24x7. He currently teaches several project management classes for NYU in Manhattan, as well as PMP Prep for NetCom Learning and on-base for the US Army. How did you become a project manager? Did u plan for it? For several years, I had been the primary in-house IT technical trainer for a large brokerage in New York City. In this role, I was creating and teaching quick-start courses on the development tools the IT coders were using to create the apps that ran the business. What happened is I started getting called-upon more and more to provide technical support for the tools I was teaching the developers. Eventually the need emerged for a full-time Technical PM to handle various new projects that were popping up, most importantly the roll-out of an IT Change Management System for the Developers. And so I was asked to manage the project of customizing the IT Change Management system, getting the department to use it, and then supporting the system. I hadn't planned for it, but I had become very hands-on with the many software products that made up the company’s unique environment. And so I was tapped for this role, partly for my technical knowledge, partly for my communication and influencing skills, and also because I had already developed such a strong rapport with hundreds of the developers as their trainer. I read that you are working with the U.S. army and training them in project management- how is that going? How different is it from training corporate professionals? Teaching PMP for the Army has been one of the best successes I’ve ever had, and one of the most gratifying projects. So far, I’ve taught 12 weeks on-site at Army bases, traveling to Georgia, Kentucky, and Texas. It’s been very satisfying, because they are such motivated students. One big difference between training Army vs. Corporate is that the senior leaders in the Army fully commit to take part in the training along with their people, no matter how busy they are. This sets a great leadership example for their people, because they attend every session, participate and share their knowledge freely, and especially because the senior leaders are usually the first to take their PMP tests after the training! This motivates the PMs they are leading to push themselves hard and to pass their exams also. Many people don’t realize that PMs in the Army manage a lot of the same kind of projects as PMs in private industry, especially IT projects. And the soldiers tell me about all kinds of unusual constraints they need to deal with. One Army PM told me about a project he led where he was required to gain approval on all key decisions from a rep in every single country that is part of NATO – talk about politics! And an extra plus about teaching for the Army is the feeling of “giving back.” I very much like knowing that my classes have helped make many of the soldiers more productive on their projects, and also more promotable. When they get their CAPM or PMP, it helps them advance within the Army (I just got a thank-you note from one of my students who got his PMP and was promoted soon after, both in rank and responsibility). And I enjoy knowing that the certifications will also make the soldiers and officers more marketable when they return to civilian life. Several of my Army students have let me know that their PMP cert attained from my class helped them land PM jobs later in private industry, after they retired from the service. In my PM work, I have always tried to stand up for what I believed was right. I’ve had to take unpopular positions at times. But I very often prevailed, partly because I am good at making a case, but mainly because I was trying to do what I believed was truly in the best interest of BOTH my customers and my company (something I go into in detail in the Ethics chapter in my book, part of what I call the “Triple Constraint for Ethics.”) So even when I’ve gone up against senior managers, they could see I was trying to go for the best long-term solution, which made them willing to listen. Also, my strong communication skills (writing, speaking, and teaching) have helped me as a manager in many ways. When my teams would work with new software products, I would occasionally write an article about our findings and it would be published in one of the IT industry magazines. This helped bring good exposure, and helped all our careers. And a couple of times I involved my team-members in co-writing the articles, which they liked a lot, and which helped in team-building. My experience as a trainer helped me learn to work well with people of many different titles, levels, and backgrounds. Corporate training gave me experience in a lot of PM skill areas: Requirements gathering,Influencing skills, Consensus-building, Goal-setting, Team-building, CustSat, Quality management, Scope management & Time-management. Another part of my success was again the word “accidental” - The training company where I first applied to teach PMP likes to put their potential trainers through a rigorous Train-the-Trainer / Presentation Skills class. The class improves the potential trainer’s skills, but it’s also an opportunity for the company to evaluate each candidate’s training abilities. I took advantage of this course as an opportunity, and earned a certification from it: CompTIA’s CTT+ (Certified Technical Trainer). This enabled me to start teaching the Train-the-Trainer class as well as PMP for this company. And I've been able to apply many of the skills covered in the Presentation Skills class toward making my PMP classes as engaging and interactive as possible (not just blasting through a lot of PowerPoint slides). Today's generation has so much help that they get over the web, how do you think they should prepare in trying to become a project manager? As valuable as the many web resources are, and I use them a great deal myself, I think it’s important for certain topics to tap into the “deep dive” that a) classes, b) hands-on experience, and c) books can provide. For example, before you would lend someone your car, you wouldn't want them to learn to drive by an online simulation only! And in training departments in the business world, activity-based training methods such as “Action Learning” are very popular nowadays. For complex ideas, I think a book is still often best. For example, in “The Goal,” by Eliyahu Goldratt, he presented original and powerful ideas about project management in an entertaining and very accessible novel. He used metaphor and a dramatic story-line to introduce his PM theories (Critical Chain Theory and Theory of Constraints. This made the book fun to read, and easy to absorb and remember. And many people still prefer live classes over online, partly for the classroom experience and the networking opportunities they provide. in the search box, and join whichever groups catch your eye. Three qualities any newbie venturing into project management should have. Strong Ethics- People like to work with managers who make ethical decisions and perform with professionalism. If a stakeholder perceives someone on a project as “ethically-challenged” (even if they are otherwise good) it is almost impossible to change their mind or ever win them back. Life-Long Learner – There are so many new methods and tools emerging all the time that it’s key to be willing to keep learning and embracing change. Today’s most successful PMs keep up with blogs and podcasts, attend PM seminars, read books in their field, participate and network in social media groups, attain new certifications, and share their knowledge with their teams. Tell us something about your project management book and where can we find it? 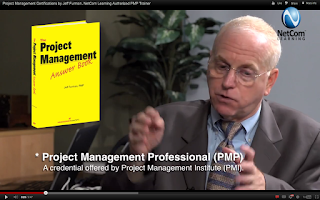 from the thousands of hours I taught PMP before I wrote it. And it’s a double book, because it’s a PMP book but also a “hands-on” practitioner’s guide, with many templates of key PM documents and best practices, plus Top 10 Lists to help PMs in many areas. And Soma, since your blog is very international, my book is popular with international readers - my Facebook fan page has “Likes” from PMs in 12 different countries so far! It’s available on Amazon in paperback and Kindle at www.PMAnswerBook.com or PMI members can use their membership discount to buy it from PMI Marketplace. To read more about project management and know how to get into the domain, read my book Stepping into Project Management (Welcome to the #PMOT World). To connect with experienced Project Manager's from all over the world, get mentored or shadow for a day see the SIPM Community. Have you been thinking of starting your own blog? Have you been looking for avenues to jazz up your profile, create your own brand and start developing your network? Blogging is a great way to enhance your skills, get access for product reviews, latest books and new software's plus grow your network globally. Learn all about blogging, the secrets that get you the attention, how to start writing and keep up with the schedule PLUS a free hand book with additional resources to keep you motivated and going. Hands on training to start your blog during the webinar in a blogger platform (free) and get done with your first post. Step 1- why should you blog? Step 3- who are your competitors? Step 4: What should your blog include? Step 5- How to decide on your target audience? To signup for the class, please click on the link here to pay only $19.99 and get blogging immediately. It’s Diwali here in India and while the city is decked up in beautiful lights, so is my house. With the lights everywhere, I wish all of you can hold on to your dream and your goal. I hope you have been following through your goal that you decided on Day 1. Just in case you are off the track, just get back to it from today. Don’t use it as an excuse to start again from next month. It never comes. Dreaming big changes you- When you dream big, you know you are ready for it. Ready to take on the new challenge, ready to explore opportunities. You tend to become more disciplined. Dreaming big changes your focus- When you have already zeroed in on the dream, you now know that you have to focus. 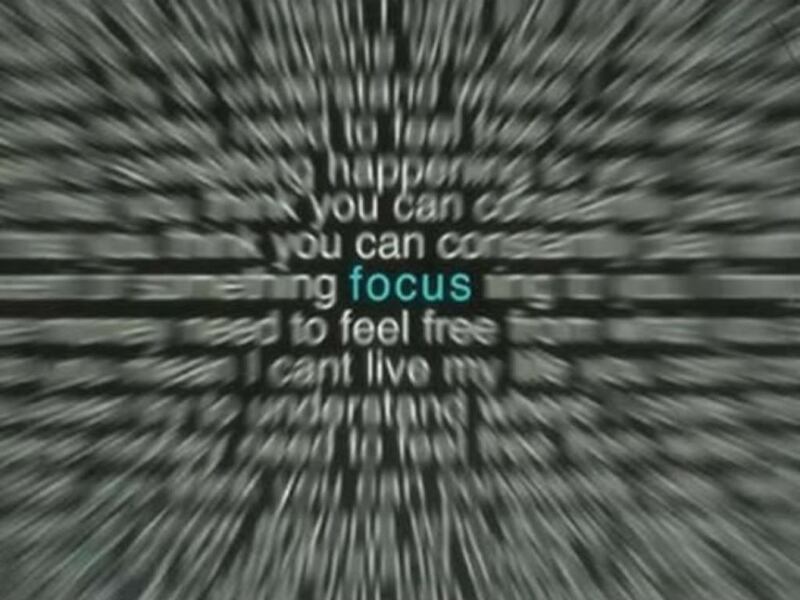 Getting the right focus means training your mind and getting ready to win big time. Dreaming big means thinking positive- Dreams are always good, they may be grander, larger than life but they are always positive. You have to find a way to keep the positive thoughts going on. Use visuals, try to stay happy by getting involved with positive work, meet awesome people who are making differences everyday, find a voice for yourself, do something that you have meaning to do for long and have never tried. Sounds good but you never have time, meet people (the one whom you admire) online through blogs, twitter and other social avenues. Chances of achieving your dreams are always higher when you can stay positive for a longer haul. 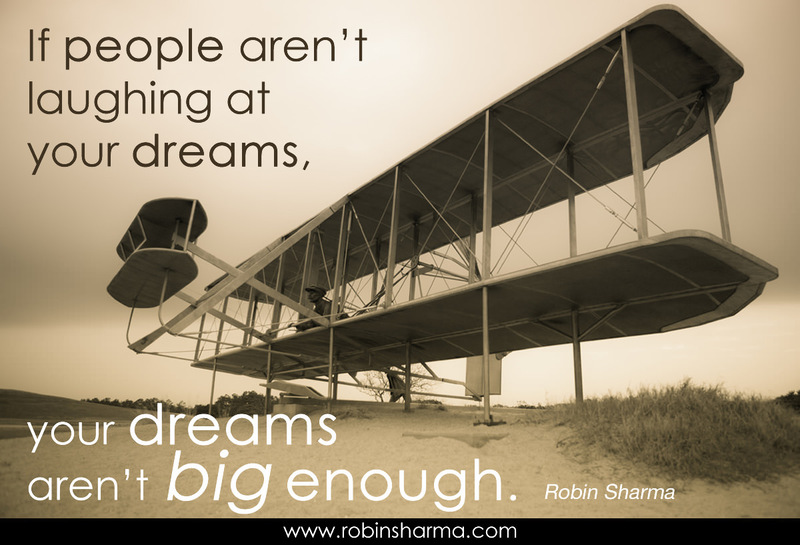 Dreaming big allows you to be a better thinker- when you really want something, you will find a way to get it. Staring at the wall and thinking about your big idea isn't all, usually with big thinking and an upbeat positive attitude, you will start thinking about strategies. Strategies can be from meeting up and talking to people asking for advise, it can be finding out ways you haven’t thought of before, reading up for more ideas and then implement it. Dreaming big enables positive reinforcement- When you dream big and keep on thinking about it, you associate yourself with something positive. Staying positive will also keep you in a much happier place than constantly thinking about negatives in your life. So, no matter what your current status of mind is you will be looking forward to your big dream and that’s always good. Hey, so have you been reading the blog? You already know that today’s the DAY- the Thanksgiving special bundle offer goes LIVE. In fact it already has. So, whether you are celebrating Diwali or Thanksgiving this month- be nice to someone, help someone out, give somebody a chance. And that’s precisely why I have kept the price the same for the book and this month instead of just the book, you get a bunch of cool stuff all for the same money! Check out the entire details on the cool stuff by clicking here. If you are new to project management: this bundle offer is a perfect setting for you to know and learn not only about project management but also at the same time meet the project managers from UK, US, India, Netherlands etc. Learn about how they made it, what’s their schedule, how do they focus, what are the 3 things you need to have to be successful and their failures and fears. 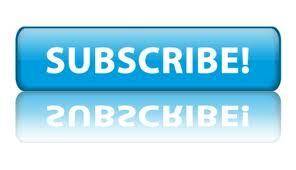 Get access to awesome webinar by the industry experts and listen in with your own login. If you already are into project management, take time this weekend to go through the webinars and get the PDU’s and forward the book/s to your mentee. 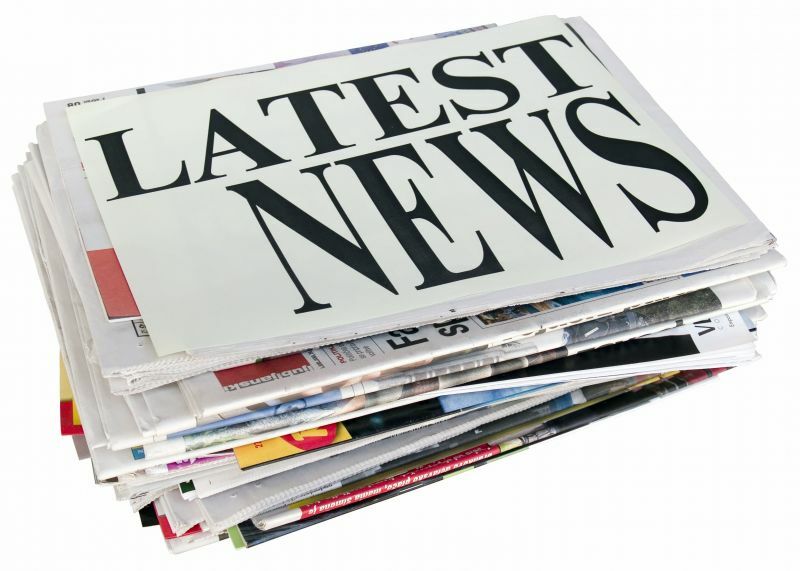 Like what you read and would like to contribute to the #PMOT community- send me an email and let’s set up a time for an interview. Be an inspiration this holiday season. You have always wanted the job, dreamed of buying your first house, felt like telling your boss what you really had in mind, want to quit your job, take the certification and you are scared. Scared of failure, scared of losing your job, scared of taking such a big responsibility, scared of dreaming big and feeling horrible when it doesn't happen? So, today you can be scared. Yes, be scared and know it’s all right. It’s better being scared and face it than be in denial and keep postponing your goal. Accept that the goal you chose is a bug one, will take guts to fulfill it, takes effort to get up in the morning and get it done and after all the effort you do still might have chances of not making it. Seriously, hats the point hiding in the fear. That’s what has kept you inside all these years. Today, walk out through that door and accept that you are scared. You want the goal so much, that you will out in the initiative, you will risk getting off your tower and you will stop avoiding it for the rest of your life. What are the odds here? You might not make it, you say. Well you haven’t anyways all these years! So, you might as well get out there and give it a try. Create a support group, prep yourself emotionally for taking the big step and know that it’s OK. Here are 7 steps to make your dream come true , so today stop worrying and good luck! Plan your journey well, here's day 1 and day 2. Khan academy is redefining education. The organization relies on the power of internet to reach out to millions with one single idea that can bring in the real “change”. When I started this blog, I was trying to write something down once a week to help myself learn. I didn't expect anyone else to read me. I didn't think anyone would actually Google me. And it never occurred to me that the blog would be my source of invitation to international seminars. It was just an honest effort on my part without a single clue to how I wanted this blog to be. Couple of years later when I started the SIPM Community, there was the concrete idea on what I want and how to get it done. I wanted to bring back and contribute something to the project management community especially the new project manages and graduate students who are thinking of career options, hence the website was launched. I never made money out if it. It was always meant to be free. 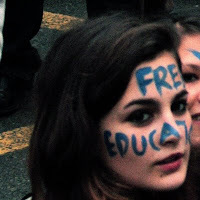 A way of education that could benefit everyone globally by meeting project management experts, following them for a day and finding internships. I haven’t come across similar websites that do the same thing, so I know this is one of a kind. And I don’t advertise about it because advertising costs money. The advertising that I put in my blog or for that matter the community site are all friends and I don’t charge. I have occasionally received an advertising fee ($ 20/month) for putting out the link in my blog. That’s as far as it goes. 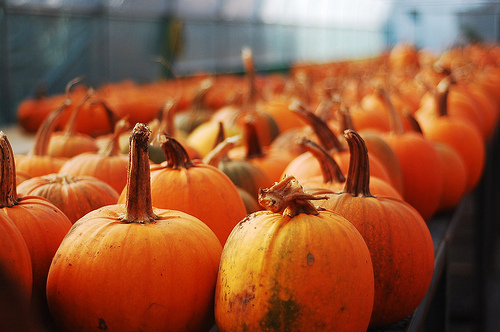 This month is Thanksgiving and we have already celebrated the International Project Management Day. So, as a “Thank You” from me to you, you will get bundled free gifts when you buy my book Stepping Into Project Management (Welcome to the #PMOT World) for $2.99 . 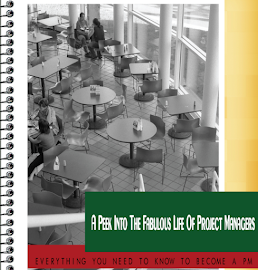 Along with the book, you get my additional e-books at zero cost: “A Peek into the Life of Project Managers” and “Project Managers and their Interviews” (downloadable). Plus you get privileged access to a collection of 16 project management webinars with 16 category C PDU’s. These webinars were recorded at the latest edition of the Project Management Telesummit. You will get the webinar recording, audio only recording, and full transcripts. All you have to do is email Samad Aidane, founder of the PM Telesumit, the receipt or the PayPal transaction id for the e-book to this email address: samad@GuerrillaProjectManagement.com. You will be granted access to the full list of the PM Telesumit webinars. This offer is available from November 9. In other internal news: the community site will have a donation link integrated with it by the end of November, if you wish to, please feel free to contribute to keep the SIPM community site running. The amount of donation is at your discretion. You will get a personalized "Thank you" note from me, no matter what the amount is. If you would like to sponsor the site for a month, or sponsor designers or developers for keeping it growing with additional features that benefits everyone, you can contribute as well. In such cases please email me directly at steppingintopm(at)gmail.com with the subject line "sponsor for SIPM Community site" and you have got my cent percent attention. For December, there will be a “Project Management Blogging Course” for $19.99 only and will run on weekends. 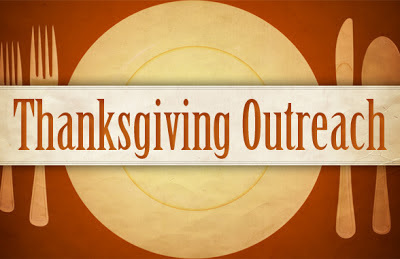 Details and signing up link coming up next week. Be safe, stay warm and enjoy being a Project Manager! So, now that you are working out the challenge series and have started the change for a much better and productive life, this video will provide you with that extra edge when you decide to talk (and network) with others and perhaps even find a job. Remember to listen carefully to this 4.18 minute video and you can ace what to ask when you meet a prospective mentor! What do you think? Is that how you do? What strategies have you used? Promises are meant to be broken. 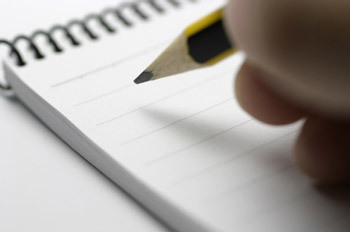 For how many years do you think you want to keep on writing resolutions and keep failing them? So, if you have made a plan and finalized your goal, let’s make sure you can follow it through. Years ago when I was in University; one of the professors asked us to write down the 5 goals in an index card and keep it in our car. She said, when you start your car in the morning go through the card. On one side were the goals in bullet points, the other side had a picture glued to it- a picture that would inspire you to attain your goal. It did help and following through didn't seem that difficult. Keep a visual record of your plan- more you see it, easier to follow through. Make a practice of it. Set up a relaxed routine that leads you to follow through- If you think too much about doing your task, chances of procrastination are more. The way to deal with it is to stop thinking and create a routine; every morning have a cup of tea when you wake up and then get to your goal area whatever that might be (gym/study/outdoors) and be there for the next 30 minutes. Keep your failures close- moving on is good, however that doesn't mean you have to forget your failures. Keeping them close reminds you of the mistakes and keeps the focus on. Better, you know what it feels to fail. I bet you don’t want to repeat that. No shortcuts- Stop taking the easy way out; instead focus on long term benefits and the right way of doing things. Instead of preparing for your certification for the entire day today and then forget about it for the next 10 days, take small steps. Sit for 1 hour everyday at the same time and the same place. Yes, same place, don’t keep on moving throughout the house, find a comfortable place and study there throughout the preparation. When off the track, get back to it the next day- we all do it. The problem gets worse when we think, we’ll start from Monday or next months, now that I am already off the track I’ll take this weekend off as well. Wrong. Get back to it the very next day. You don’t want to fail this time. Rest Days- Keep a day off. Rest your goals, evaluate them and forget about it. Enjoy the day without stressing. 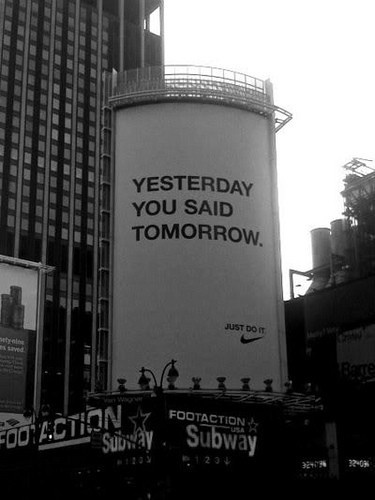 Next day, get back to your routine. Ever wonder why 45 percent of Americans write up new resolutions and only 8 percent successful in keeping theirs? Have you thought why you have goals and haven’t reached them ? Is it because you haven’t worked towards it, didn’t think it was possible or didn't have courage to take the risk or have the desperation in you to get it done. This November twice a week we will focus on what we need to get rid off to get to our goals. Achiever are not whiners and any resolution will stick when you have the will power. Easily said than done, keeping up with the willpower over an extended period of time is tough. So, today write down one goal. A goal that you really want to achieve. Even if you have failed before. Write it down in a paper and keep it where you can see it. I mean it. If you are too embarrassed to keep it in public (may be because you have failed before and don’t want others to make fun of you) keep the paper in your wallet/purse, type it in your phone. Make a plan, think about it today. Tomorrow morning, review your goal. Is it the same goal you want to achieve? Make changes and keep one goal. Now make plans. The one you can really keep. Don’t say you will wake up at 4am and go for a run. Share it with one person if you prefer Or keep it to yourself if that makes you more determined. If you can afford to hire someone to slap you every time you are off track, go for it. Good, now you are done with part 1 of your task. Now for the more complex part- you have to stop complaining for the next 15 days. Seriously. If you are in the mood, go read this forum about what people say about whiners . Whenever you want to complaint, stop. Stop complaining about your family, about the cold food the cafeteria serves, the backstabbing co- worker, the vicious boss, horrible weather- STOP. Try to relax and be happy. 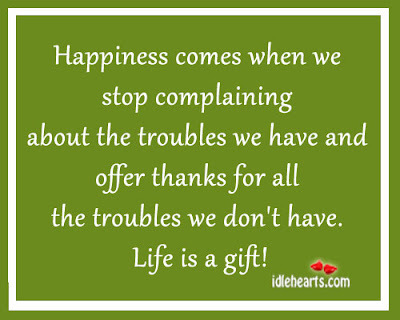 Be conscious and see the positive side of our life, count your blessings. Look at your pay check, the fact you still have a job, thank your partner when he/she brings you coffee, take your team/co-worker out to lunch. Try to get off from the constant whining and complains. Set a routine for yourself every day, end of the day or early morning. Give yourself some space, some time when you are not stressing. Have a cup of tea/coffee, water your plants, breathe, just sit there and listen to some music, read a magazine, watch your favourite show. Be present. This can’t be easy and it won’t. Repeat your routine. It gets better. Along with this change, start putting in small efforts (15 minutes a day) to follow your goal. Don’t overdo it and then give it up. Do it every day. If you are still reading this, go ahead and get started. And let me tell you, you are not doing it alone. I am doing it with you. Abhirup Bhattacharya prepares for a month and passes his CAPM exam. He talks about his routine, his preparation and how he juggled his MBA classes to prepare for the exam. He also blogs at Ideas Make Market and you can find him here @abhirupbh on twitter. Why did you decide to take the CAPM? what is your background? I am presently in my second year of MBA in finance from Narsee Monjee Institute of Management Studies. Prior to this, I graduated in Apparel Production from National Institute of Fashion Technology (NIFT) and worked as a merchandiser in Egypt. I am also a Level II candidate for 2013 CFA Programme from CFA Institute USA. Project management is an integral part of any process in any company. In fact, in my belief it is even more important for a finance manager to be a good project manager as one can directly impact and control costs in any project by managing it well. This was my main motivation for taking CAPM. How long did you take to prepare for the exam? I prepared for the exam for a total of around 1 month and on an average 3-4 hours a day. Sometimes I was unable to study for couple of days due to assignments and exams related to my MBA studies. Did you follow a routine/schedule on how to study for the exam? Yes, I had divided this period of 1 month into three distinct phases: For the first 2 weeks I completed the entire curriculum to have idea about the entire syllabus. In the third week, I focused on areas in which I had difficulty in understanding. The final week I kept exclusively for solving questions. What books/guides/classes did you take? I referred PMBOK and PMP Study Guide by Joseph Philips for my preparation. In addition to this I had the CAPM preparation slides for reference. Would you like to share 3 most important things to be taken into consideration when preparing for the CAPM exam? I think the three most important things to consider are : Time management- make sure you plan your strategy well , Practice: This will ensure you get confusing questions correct and most importantly Clarity: This will imply your fundamental understanding of the topics is clear. While taking the exam, were you nervous or did your preparation match with the exam pattern? I must admit I was a bit nervous on the day of the exam. However the fact that I had solved enough problems, helped me remain calm and maintain my confidence level during the exam. Most projects have a post-implementation review (PIR), also known as a project post-mortem or post-project review. This is often the only opportunity to assess success on a project, especially if your organization doesn't have a more robust method of benefits tracking over the long term. Often the stakeholders are involved in a PIR. You may or may not choose to involve suppliers as well. Normally the whole project team will be asked to contribute, either in a big workshop-style meeting or in a series of smaller sessions. PIRs mainly cover process things, like how we managed schedule changes as a team, or whether our monthly reporting schedule gave everyone the information they needed. Aside from the process topics during a PIR, it is also an opportunity to discuss statistics and metrics related to the project. These are normally backward-looking. What was the percentage of effort spent on testing? How many days did it take the quality team to audit the deliverables? These metrics and calculations can then be incorporated into future projects so that initiatives going forward have the benefit of experience and hindsight. This is great, but this type of PIR doesn't help the project stakeholders. After all, for them, the project is over. So why do we do post-implementation reviews? Traditionally, a post-implementation review is the only way that project managers have to determine whether or not their project has been a success. You set success criteria at the beginning of the project and then at the end you pull them out of the drawer and have a meeting to decide if you hit them or not. We do PIRs because it’s a way to assess performance and to gather data, and typically we look at retrospective measures. We do them because we’re in the habit of doing them, and because our methodologies and standards say that we should. What are the limitations of PIRs? For me, there are two issues with PIRs: they only happen at the end of projects and they mainly focus on the project management principles and methods used. They don’t make the distinction between the success of the project and the success of the project management effort, and they mainly focus on the latter. Sometimes customers will be asked to feed into the project evaluation process, but at that point it is too late to do anything practical about their comments. If they complain that they weren’t kept up to date, you cannot go back in time and provide more information on a regular basis. It is a case of, ‘How can I help you now it is too late?’ In fact, research from South Africa shows that project sponsors prefer a proactive approach to feedback over the post-implementation review process. They chose to work collaboratively with the project manager during the project to ensure that their expectations were met. Of course, PIR discussions are immensely valuable for continuous process improvement, and I am not suggesting that you stop using this technique. Focusing on project management principles and methods used is essential to improve organizational project management processes. Could we have done better risk management? What scheduling lessons were learned? A good PIR meeting should discuss what went well and what did not go so well with this project, and this is great information for project managers and teams. If you don’t cover this stuff, you won’t learn how to do things better next time. So, while PIRs have their limitations, don’t stop doing them! I suggest you start doing something else as well. I would advocate continuous reviews. Review project success on a monthly basis with the main stakeholder or key stakeholders. There’s a lot of talk about ‘engagement’ but not a lot of practical advice about how to actually do it – sitting down with your stakeholders and talking to them regularly is an easy (and cheap) way to build engagement. It’s just about talking to people, so it doesn’t take up much time, but continuous structured reviews do give you data in the same way that PIRs do. On top of that, talking to them also gives you data you can actually act on, so you avoid this ‘how can I help you now it’s too late’ problem. You can ask people to score how you are managing their projects on a scale from 1 to 10. You can ask them the same set of questions month-on-month so that you can see if you are doing better. You can monitor their feedback over the long term, tweaking your project management approach and the project deliverable themselves, so that at the end of the project the stakeholders actually get what they want, in the way that they want it. That’s got to be better than saving all the feedback until the end, don’t you think? 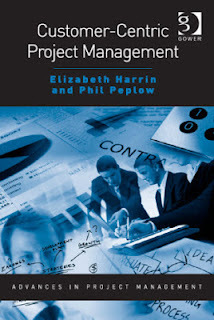 Elizabeth Harrin is the co-author of Customer-Centric Project Management (Gower, 2012). 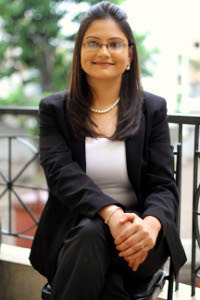 She writes the award-winning blog, A Girl’s Guide to Project Management (www.GirlsGuideToPM.com) and is Director of project communications company The Otobos Group. Lesson learnt. Turns out we can all learn a lesson or two trying to find ways to focus more and get things done. Everyone has their own way of being focused however we can always learn and try out ways that others follow. Getting laser sharp focus is attainable . You can choose to train your brain, to get more focused or continue with your life. Another way to focus, is to ensure your work area or environment. •Prioritize- This will allow you to focus on the work that needs to get done first. You can also use the Pomodoro technique to get it done. •Get it done- Focus on what need to get done and get on with it . Get off the internet, emails, phone calls and chit-chat and get working. •Take pride in your work- Be responsible, take ownership and be proud of what goes out with your signature in it. And you will focus automatically. •Be available for criticism- Being present for a positive or otherwise feedback will help you focus more on areas that need improvement. It can definitely turn you into a more focused professional and deal with your shortcomings better. 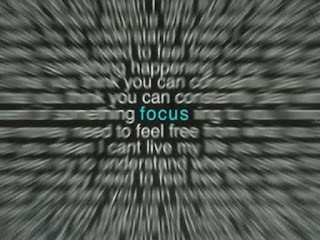 Focus is the ultimate art to reach your goals. Is sick and I should be back with regular posts from October 12. There is some good news as well- The book Stepping into Project Management is now available globally through Amazon as well. Or you can buy it directly from here. The second book draft is on and I will be letting you know more about it as I try to finish off the chapters. I have been spending my time, more on the new tablet playing games and listening to some great music as it's been kinda tough sitting with the laptop for a stretch. Till then, stay happy and healthy!!! Feeling like a leader recently? Do you walk the talk? Do yo know where you are heading? Are you sure you know your followers? Listen to Simon Sinek talk about for 18.35 minutes how leaders actually inspire action and you will think differently. Most people looking for a change in their job profile aren't sure, if the role of a Project Manager is something for them. It is a demanding job and to be successful at it you will need to develop a set of required skills. So how do you know this role is for you? Is there an assessment that allows you to find out if you have the required traits? Yes. It turns out there are some good tools out there. Dr. Harrison of Harrison Assessments says “For most jobs, suitability factors are about 50% of the job success factors. 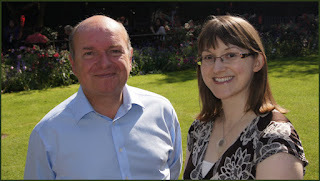 Therefore, effectively measuring suitability is an essential part of assessment”. Unlike most behavioral research which examines the norms or average traits for people in the job, the Harrison research focuses on the traits that differentiate the high performers from the low performers. So, can everyone be a Project Manager? Can you? There are no rights and wrongs here. There is no way I’ll tell you that if you have set your mind and heart to it- you cannot do it. Project Management is such a vast domain, enough for anyone who puts their mind into it. From the very creative to the methodical you are all welcome. If you are willing to spend $75 (USD) and take the test, you can email directly at pmreports1@gmail.com to request for an assessment. Another way of knowing more about your compatibility with the profession is by taking the Myers-Brigs test by clicking here . 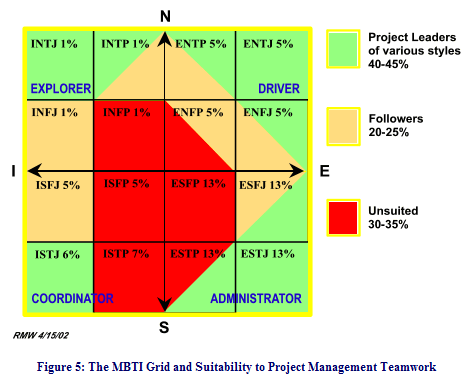 According to this study there are certain groups of people who are considered more suitable for the role of a Project Managers job based on their personality type. Once you know your personality type by taking the MBTI assessment, you can find yourself in the figure above. As displayed by the colors, the personality types marked in “green” are the ones best suited for the job like the INTJ, ISTJ, ESTJ and ENTJ. Don’t be disheartened, if you are not in the right group as there are always exceptions to rules and you can always develop the skill or traits you need to be successful Project Manager. Also, trust me when I say this, there are very few Project Manager’s who will take this test and give up on their careers if they don’t fall into the right category. The third route is to find a mentor, someone who is ready to guide you and take you under their wing. It is essential to look for someone who has enough experience in the field, understands what you expect from your profession, makes you comfortable to discuss failures and is equally happy to rejoice in your successes. Having a mentor makes all the difference in the world. This is an excerpt from the book Stepping into Project Management (Welcome to the #PMOT Circle). To buy click here. The E-book Stepping into Project Management (welcome to the #PMOT circle) is available now. You can buy the book by clicking here which takes you the payment page via PayPal. You don’t need to have a PayPal account to buy the book, you can simply use your card. Once the payment is confirmed you can download the book in pdf format. Priced very nominally at $2.99, almost equivalent to a cup of coffee and probably less the book is for college graduates, professionals interested in the project management and newbie’s. Click here to see the Table of Contents. You should be able to buy the book from any part of the world with your local credit or debit card. Don’t hesitate to email me in case you need any help or have any issues downloading the book. This morning when he called for the 100th time I decided to pick up the call. I have pretty much ignored it for the entire last week and a half. I just didn’t want to talk. The moment I picked up the call, things were like it used to be. I had to ask him why he was calling me and he said it- it was the burn out that was killing him. He wasn’t as inspired as he used to feel. He had pulled all nighters and rolled himself out to be walked over with expectations and more work and he pretty much volunteered for it all. I knew how it felt; I had been there and done that. I worked twice the regular hours, worked in 2 time zones, constantly checked my blackberry even in the middle of sleep, slept for less than 6 hours a day, ate lunch at desk and felt very important doing it all. I loved my life, my work life! Till I pretty much felt like a Zombie; that’s when I decided it was time to reconnect with myself. So, I quit. Listening to the same story over the call, made me just think how much employees go through and don’t know when to stop. Some just can’t face the fact that they are going through a problem and there’s no way to love your job as dearly as you did. Few, go through it with their hatred for the job soaring. Studies estimate that stress costs US businesses up to $300 billion dollars in lost productivity each year. In a Business Week article, Marissa Mayer talks about finding the rhythm, to avoid the burnout. It boils down to one activity that you think is the anchor of your sanity. Like meeting your friends for a Friday night dinner or attending parent teacher meets for working parents. Turns out there are 4 stages of burn out and it’s a common scenario for all kind of jobs. Katy Cowan, in her article in The Guardian talks about the physical, emotional, behavorial signs to take as cue before you have the actual breakdown. New hobbies, putting technology way once in a while and learning to switch off and take breaks are the few ways to get back to your regular self. Taking a creative sabbatical surely is one way and some people are more serious about it than others. Designer Stefan Sagmeister is one of them and he takes it regularly closing his New York based design studio. Stress might be the predecessor to a burn out, so make sure you know how to identify one. Stop ignoring the symptoms- You will always know when you are leaning towards it, just make sure, you don’t ignore the signs and think it will all go away. It won’t until you take some actions for it. Talk it out aloud- Call a friend and talk about what you are going through. Unburdening yourself helps and smaller suggestions when reinforced over time will help you convince yourself to take the break. Find time to do what you like the best- It’s probably the rhythm, make time to travel, paint, call your best friend or whatever it is you like doing. Just find the time to do it and don’t underestimate the influence of a positive work environment. Me time- Every single day, find time or a routine just for yourself. Even if it’s for 5 minutes, still stick to it. Go for a walk after dinner by yourself or watch your favourite show. Get back when you are ready- Some will admit it, some wont; this is a common phase unless you know how to handle it. 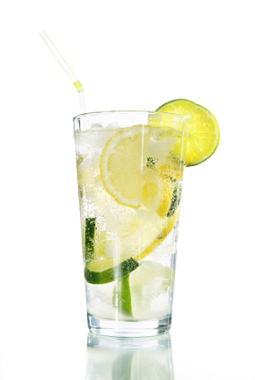 Break your routine and induce some freshness. Sooner than later, you will be back on your feet and happy to live in the Now. 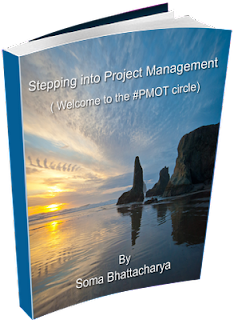 The new E-book- A Guide: Stepping into Project Management (Welcome to the #PMOT World) is ready for giveaway. And there are 2 of them. Tweet about your project management plans for the future and why you want to become one with the Hashtag #SIPM, so I can find you. Or you can simply send a pic (via twitter) about your project management initiatives that you are taking. This can mean pictures about workshops attended, study groups to clear off certifications, prep books being delivered –pretty much anything that related to your interest in project management. Don’t forget to include the hashtag #SIPM, so I can find your post. This is open till August 15 and 2 winners will be announced in the blog and twitter. Don’t have a twitter account, get one. You will be surprised how much it can help you learn by following PM related hashtags, chats and other project managers. For the rest of you, the book will be announced in the blog and twitter soon. 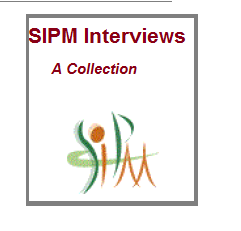 By the way, don't forget to sign up for the Free Google Hangout session on Sept 2 (Sunday) and the SIPM Newsletter.